If you've been searching for a luxury hot tub offering the right combination of style, seating and advanced hydrotherapy features, the Mystic is a wonderful solution for any home. 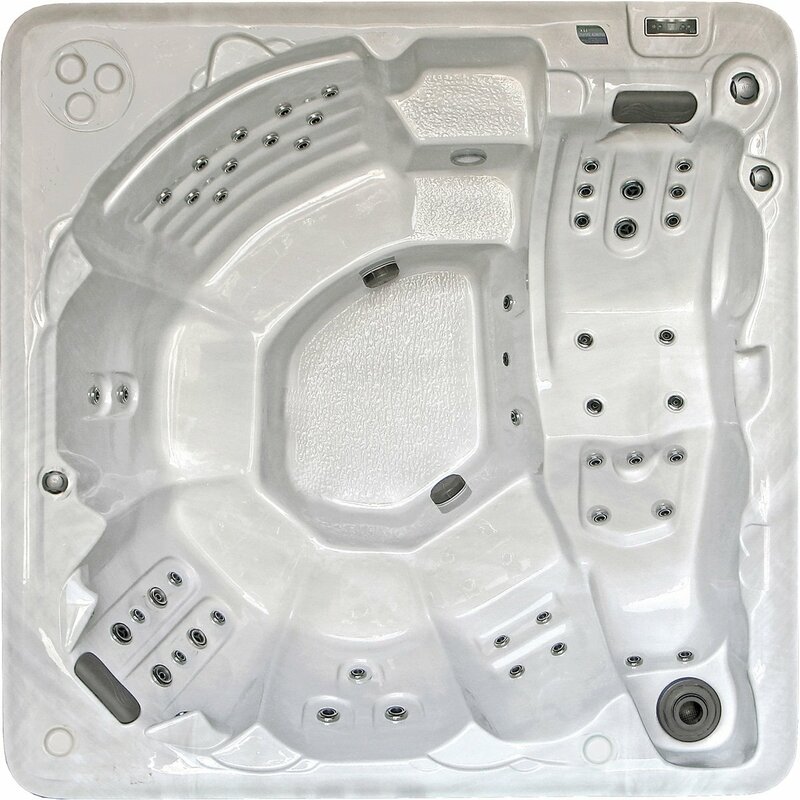 With a large, square design that spans 7'9" each side, the Mystic hot tub from PDC Spas is perfect for larger families or those who regularly entertain guests. A uniquely designed seating arrangement provides plenty of room for six, including five contoured buckets and a full length lounge. For your hydrotherapeutic pleasures, the Mystic has been designed with a total of 53 stainless steel trimmed spa jets to ease tensions and reinvigorate those tired, aching muscles. Enjoy targeted relief while sitting in one of the five contoured spa seats or escape to a state of complete bliss with a deep stretch from the captain's lounge.